Elsa Correia Faria-Billinton was a Research Associate in the School of Chemical Engineering and Analytical Science (and previously in DIAS, UMIST) from January 2001 to December 2011 and an Honorary Lecturer in Analytical Science since October 2005 to December 2011. She studied at the Universidade de Aveiro in Portugal where she received her Licenciatura in Analytical Chemistry in 1997. During her undergraduate studies she also studied a year at the Friedrich Schiller Universität in Jena (Germany) and a year at the University of Strathclyde in Glasgow, where she was awarded a BSc(Hons) in Forensic and Analytical Chemistry. She also obtained a PhD in Instrumentation and Analytical Science from UMIST in 2001 for her work on ‘Kinetic Measurement of Toxicity Using the Marine Luminescent Bacterium Vibrio fischeri’. In 2007 she obtained a PGCert in Academic Practice from UMIST, which was awarded with Distinction. 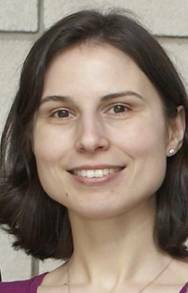 Elsa’s research is concentrated on developing and applying single-cell techniques such as AFM, Laser Tweezers and Raman Laser Tweezers to study the mechanical and spectroscopic properties of cells to elucidate the progression of diseases, such as prostate cancer, and develop novel diagnostic methods. She also has an interest in the development of toxicity methods. American Institute of Physics, 2008. Journal of Environmental Monitoring, 2004, 6, 953- 956. Journal of Environmental Monitoring, 2004, 6, 97- 102.